On November 5th, Congress passed a six-year transportation bill. There is nothing that is extremely good about this bill but is not that bad either. It is relatively good for walking, biking and the transit industry. The transit industry bore the greatest effect in terms of funds allocation and policy changes. The House voted to approve the 2015 Transportation Bill in a 363-64 vote. It calls for spending $261 billion on highways and $55 billion on transit over six years. The legislation authorizes highway funding for six years, but only if Congress can come up with a way to pay for the final three years. The 2015 Transportation Bill aimed at modernizing the nation’s transportation policy and reducing our dependence on driving. The gas tax shortfall was patched with a $40 billion fund to extend the coverage period from three years to six years. This was however a last minute measure that came about when Texas Re­pub­lic­an Randy Neuge­bauer brought an amendment to get funds from the Federal Reserve’s Capital Surplus Account. Surprisingly, this amendment was approved overwhelmingly. An amendment to oppose this source of funding for the 2015 Transportation Bill, brought by Oregon Democrat Earl Blumenauer could not even be heard by the House leaders. Earl’s amendment had proposed to raise the gas tax instead. It is worth noting that the House leaders had not indicated where they intended to get the money to fund the 2015 Transportation Bill. Neugebauer’s amendment allowed lawmakers to pass a long awaited bill. Government agencies and industry stakeholders have been waiting for it for a long time. The only downside being they never came up with a revenue source that is not a onetime shot. Cuts that were targeted at walking, biking and transit did not gather support nether did funding. This prompted the Bike league to call this outcome victory saying, “Sometimes the hardest work results in nothing happening” The other notable setback for the walking and biking was that its “Transportation Alternatives program” is locked in at $819 million per year. It will not grow to keep pace with inflation like other programs. This backdoor cut to active transportation may in future lead to more cuts and should be taken as a cue for stakeholders to watch out. The biggest winner still goes to the transit projects. The bill restored flexibility to allow funding for transit projects to come from multiple federal sources. Initially, the 2015 Transportation Bill targeted to restrict the transit agencies to funding from New Starts and Small Starts programs without seeking supplements from other federal sources. This included sources like the TIFIA loan program. This was a hidden in the requirement that no other federal funding could be sought if the total federal share already exceeded 50% of the whole project. Lipinski and Jerrold Nadler (D-New York) worked hard to partially succeed in reversing that provision. There is still a limitation in sourcing if funds from the $10 billion Surface Transportation Program (STP). The funding from the STP cannot be tapped beyond the 50 percent cost of the project to supplement funding from the federal transit programs. Another major change for the transit industry from the 2015 Transportation Bill is the change of age from 21 down to 18 years for interstate drivers. 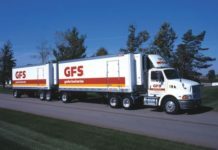 Previously, Federal regulations required that drivers be at least 21 years of age before they can be allowed to drive commercial trucks across state lines. This amendment, introduced by Republican Senators allows contiguous states to join together in “compacts” to drop the age limit to 18 years for interstate trips. There is no, limit that has been placed on the number of states that can join the compacts. 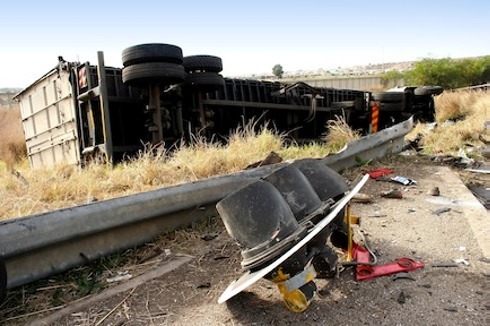 The Transportation secretary will be expected to report to Congress after four years whether the teens will have shown an equivalent safety level as compared to older truckers. Data from the year 2013 showed that all drivers of ages 18-20 had a 66 percent higher fatal crash rate than drivers who were 21 years or older. This data was provided by the Transportation Department’s Fatality Analysis Reporting System. It is however worth noting that the total number of teen deaths has been declining since the year 2002. These could of course be attributed to more awareness that has been enabled by information sharing through the internet among teenagers. The change to have the age reduced from the high 21 to a low of 18 was sought to by the trucking industry to help address a shortage for truck drivers. The current shortage of drivers is estimated to be about 35,000 to 40,000. The shortage is compounded by retirements and individuals leaving the industry. The total estimate of the number of new drivers likely to be hired over the next decade is 100,000 each year. This is the number that will help the transit industry keep pace with the country’s freight needs. Jackie Gillan, who is the president of Advocates for Highway and Auto Safety, disagrees with this new change. He says that this is a catastrophe waiting to happen. She is convinced that allowing a teenage driver to drive a truck weighing as much as 80,000 pounds and to work as many as 82 hours a week is dangerous. This type of work shift is permitted in the trucking industry and teenage drivers are expected to regularly take such work shifts are well. She believes teenagers are predisposed to high risk driving, which coupled with inexperience and large trucks makes a dangerous mix. This view is disputed by Dave Osiecki, chief of advocacy for trucking associations. He says that it makes no sense for a teenage driver to be allowed to drive from one end of the state to the other and be denied a chance to cross over to the next state. He gives the example of the State of Virginia. A teenage driver in Virginia would for example be allowed to drives hundreds of miles from one end of the state to the other end of the state of Virginia, and then the same driver will be prohibited from crossing the Potomac River into Washington. This he says beats logic. He strongly believes that the lowering of truck driver’s age limit is good for the economy, good for the industry and commerce. 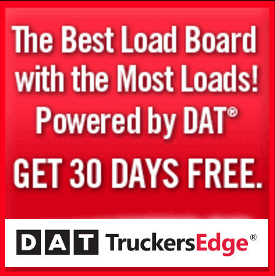 This will include all loads that are considered over-sized or overweight. The U.S. Department of transportation and individual States would also be allowed to impose other restrictions if they wish to do so. 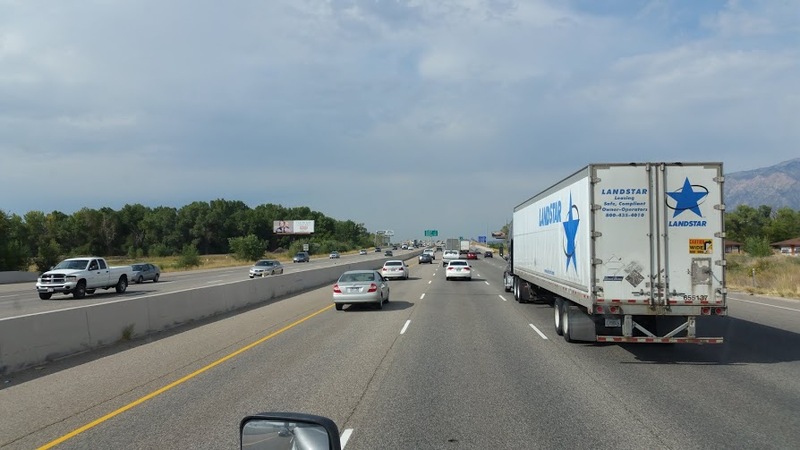 Even though states are not obligated to join compacts, Gillan believes and expects that states will be under pressure from the trucking industry to do so. As a driver, obtaining a commercial driver’s license requires drivers to pass a written knowledge test and a driving skills test. These tests will be administered by a state motor vehicles department. Gillan points out that there is no requirement that drivers will first have to receive on the road training or to attend a training school. The Labor union on the other hand says the bill need not have had those changes. 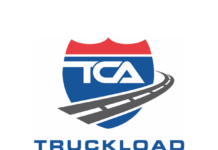 They believe the driver shortage could simply be eliminated by improving the working conditions of truck drivers and raising the trucker’s wages. This is not the first time that lowering of the truck driver’s age has been considered. The first unsuccessful attempt was during the Bush administration, a decade ago. They however decided to drop the idea after the government received public comments that were overwhelmingly against the idea. There seems to have been a change of heart since then, probably due to tough economic times. This could be seen as good news for young truck drivers who may have a chance of getting employment in the trucking industry.